Gold medallist one week ago in his native Chile, Alvaro Vega emerged the most surprise name to finish the opening day of play, Friday 25th November, at the Copa Tango in Buenos Aires in first place in the group stage of proceedings. Competing in Men’s Singles Class 10, he beat Argentina’s Dario Neira, the top seed, in four games (11-8, 11-4, 7-11, 11-3) to secure the top spot. However, was it a surprise? In reality it was no surprise at all. 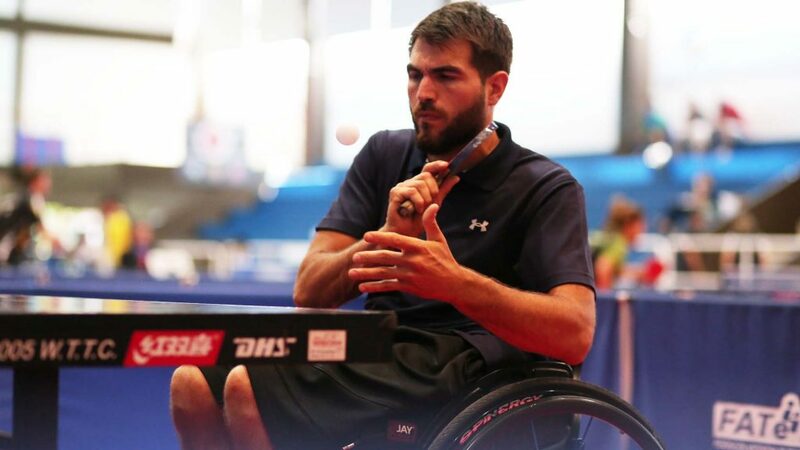 In Santiago at the Chile Para Open, at the semi-final stage of Men’s Singles Class 9-10, Alvaro Vega had beaten Dario Neira in three straight games (11-9, 11-2, 11-8), prior to clinching the title at the final expense of Brazil’s Claudio Massad (11-8, 3-11, 7-11, 11-9, 13-11). Defeat for Dario Neira but there was consolation in the fact that it was his only reverse; thus he secured second position in the initial phase group and a passport to the main draw. In all Para events, where there are two stages, players finishing in first and second places in each group advance to the knock-out section. One surprise name at the top of the list in Men’s Singles Class 10; in the corresponding group it was exactly the same scenario. 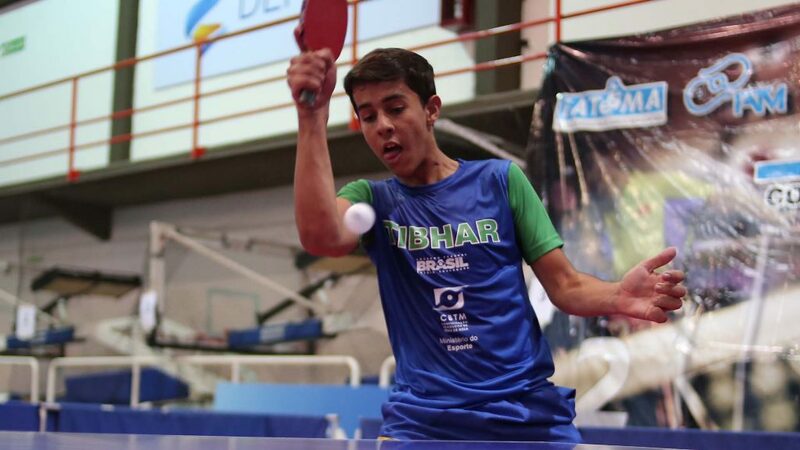 Brazil’s 17 year old Lucas dos Santos overcame Chile’s Gustavo Castro (11-6, 11-8, 14-12), the second seed, to claim top spot; the Chilean had to be content with runners up spot. 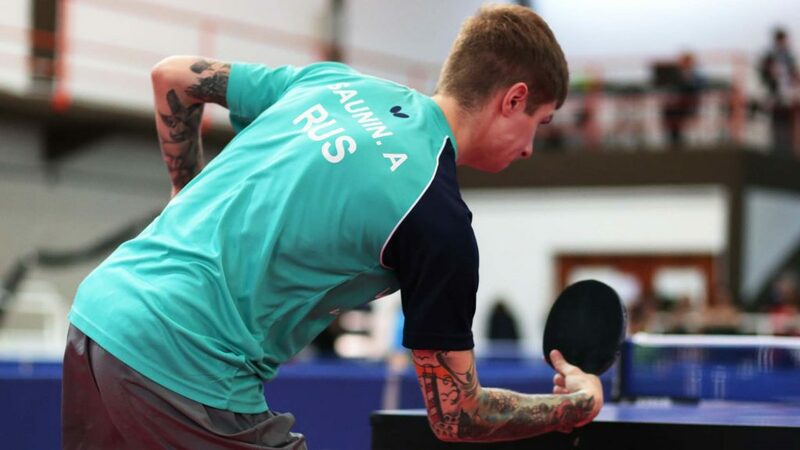 Also, in the Men’s Singles events, there were three further instances where the second seed had to settle for second place at the hands of the player who was to finish unbeaten and in pole position. In all Argentine battles, in Class 5, Daniel Rodriguez was beaten by Elias Romero (11-2, 8-11, 11-9, 11-5); in Class 7 Osvaldo Torres suffered at the hands of Aleksy Kanuka (11-9, 11-6, 11-5). Similarly, in Class 9, there were problems for the second seed, Chile’s Valentin Letelier, he was beaten by Colombia’s Diego Jimenez. 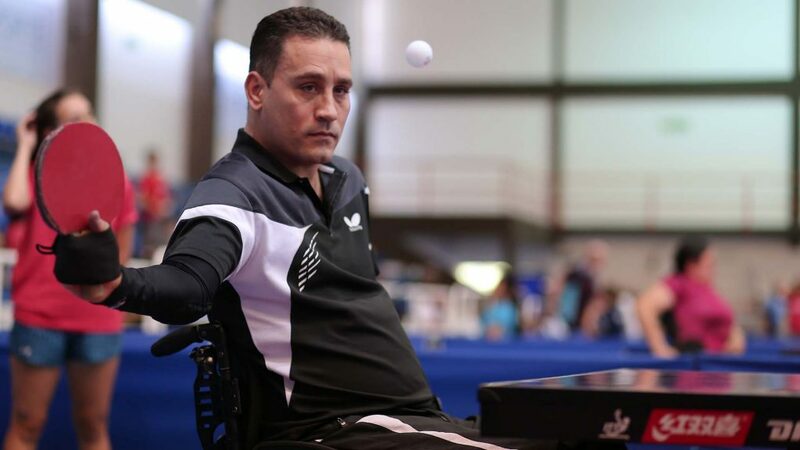 Five surprise first places in the group phase of affairs; there was one more; in Men’s Singles Class 8, where there were three groups in action, Ecuador’s David Vasquez experienced defeat at the hands of Chile’s Ruperto Morales (6-11, 11-7, 11-6, 4-11, 11-6). Problems for leading names but apart from Dario Neira, there were no such difficulties for the top seeds. 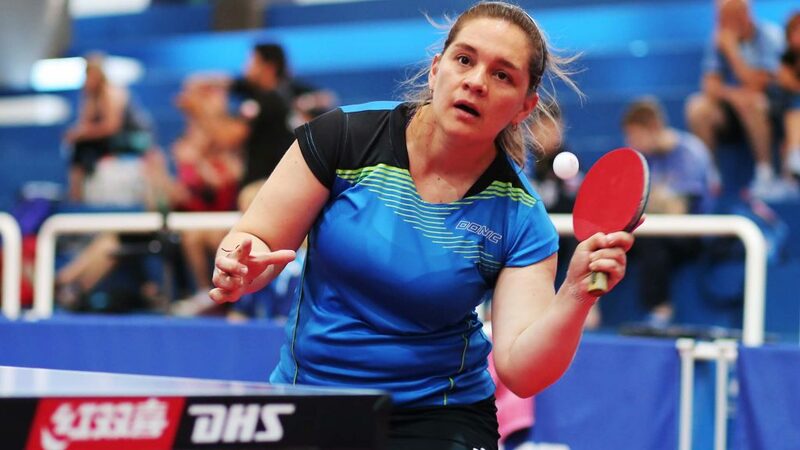 In the Women’s Singles events, Italy’s Giadi Rossi topped her group in Class 2-5, as did Argentina’s Giselle Muñoz in Class 7-10. Top place for a top seeded female player from the host nation, it was the same in the Men’s Singles events. Gabriel Copola, reserved first position in Class 3 as did Mauro Depergola in Class 5. Similarly, there was success for top seed Chilean names in the guise of Luis Bustamente in Class 1-2 and Matias Pino in Class 6. Likewise Brazil’s Ecildo Lopes de Oliveira topped his group in Class 4, as did Colombia’s José Vargas in Class 7 and Russia’s Alexei Saunin in Class 8. Meanwhile, not to be left out, Italy’s Mohamed Kalem, topped his Class 9 group. Play in both the Men’s Singles and Women’s Singles events conclude on Saturday 26th November.